It's inevitable that Apple will pull the plug on digital music sales conducted through its iconic iTunes store, analysts said today. But contrary to a report by Digital Music News, which cited anonymous sources "with close and active business relationships with Apple," it's very unlikely that the Cupertino, Calif. company has a two-year countdown in the works. Apple has denied such plans in a rare public rebuttal. 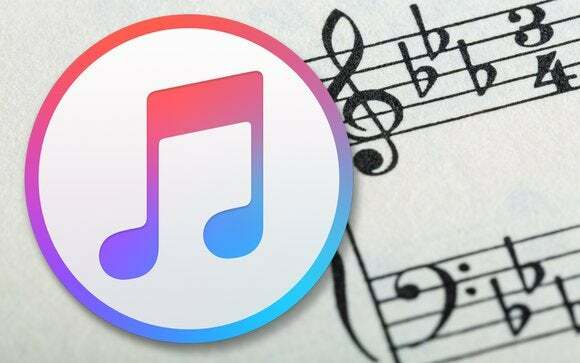 But Apple will shutter its iTunes music business at some point, analysts agreed. "It's not a matter of whether [Apple stops offering downloaded music via iTunes], but when and how they're going to position it," said Aram Sinnreich, an associate professor at American University who researches the music industry and its transition to digital. Revenue from music downloads has been in decline since the peak of $3.9 billion in 2012. According to Mark Mulligan, an independent analyst who focuses on the music business, download revenue will fall to just $600 million in 2019 before plummeting to insignificance the following year. But not everyone anticipates such a fast and sharp drop-off in download revenue. "It was still bigger last year than in 2011," said Jan Dawson, principal analyst at Jackdaw Research, of music download revenue. "It's still a sizable business." And one that Apple won't abandon suddenly. "Transitions like this take years and years," Dawson argued. "There will come a point where Apple will turn off the lights because no one is in the store, but it will be a very slow transition." Both Sinnreich and Dawson contend that it's inevitable that downloaded music would vanish, or nearly so, replaced by streaming services like Spotify and Apple's own Apple Music. The Apple service debuted in mid-2015 and, by Apple's tally, now has 13 million paying subscribers. "The reality is the download market was never anything more than transitional," said Sinnreich. "Subscriptions and streaming was the only viable revenue source in an Internet media context. It took the industry much longer to move [to the service model] for institutional reasons. The industry had to line up a lot of legal ducks and appease a lot of existing commercial interests. "But there's only one model for high-volume media transactions in a multi-channel, always-on Internet. That's the service model," added Sinnreich. Sinnreich, who once worked with Mulligan when they were both at Jupiter Research, a since-defunct industry research firm, recalled debates the two had about the future of digital music. Sinnreich argued, he said, that streaming was in the cards. It just took much longer for Apple to get there than he expected. "Apple originally sowed fear among both consumers and the music industry in order to dominate the download space," Sinnreich said. "iTunes contributed to the price decline in music, and the decline of its value in the early part of this century. But they've failed to transition from that." Until Apple Music's launch last year, anyway. Now armed with a subscription-based streaming service, the Cupertino, Calif. has a replacement for the falling single track or album sales through iTunes. The problem is that while Apple Music may be an option for those who once paid for and downloaded tracks, its 13 million subscribers are just a fraction of the consumer pool that could download, said Dawson, bolstering his point that iTunes won't be going anywhere soon. Although neither Sinnreich or Dawson envision a sudden death of iTunes, Mulligan warned that it could come sooner than many anticipat, assuming the trend of accelerating declines continues. "By 2020, [Apple's] download business would be tracking to be 10 times smaller than streaming revenue but, crucially, streaming revenue would nearly have reached the 2012 iTunes Store download revenue peak. This is the point at which Apple would choose to turn off the iTunes Store," he wrote in an analysis posted on his website last week. For his part, Sinnreich predicted that the end of iTunes music sales would occur in the five-years-plus range. Before that happens, however, he hopes that Apple will have put the right pieces in place. And Apple Music on its own won't cut it. "The smart thing would be to create a sustainable momentum on the service side before they pull the [iTunes] plug," said Sinnreich. He imagined a multi-component service, one that encompassed everything from music and video to home automation and automobiles, with the latter two adjuncts to Apple's current HomeKit and CarPlay initiatives. Apple Music would, Sinnreich said, be the "crown jewel" in that expanded service offering, but not the only piece. "All of these are new frontiers for consumer attention and revenue," said Sinnreich. "Apple must start thinking about how to sell services to Millennials as they begin to set up their households." Just as downloads were transitional, so will be Apple Music as the company rolls it into something more expansive, more expensive. "That's the sweet spot right there," Sinnreich continued. "Millennials know the brand, there's a level of trust and technical proficiency there that makes selling services to them a must." Lately, Apple's executives, particularly CEO Tim Cook, have stressed the revenue opportunities in services when talking to Wall Street, citing the enormous pool of customers who own its devices. The pivot from downloads to streaming has been, in fact, part and parcel of the shift to a service narrative, Mulligan maintained. "This has much to do with why Apple chose to enter the streaming market now as did any other factor," he said. "While the download business generated solid headline revenue, it did not have the benefit of being predictable, on-going spend in the way that subscriptions are." Sinnreich concurred. "Apple is beginning to see falling sales in their flagship iPhone product line," he said. "Tablet sales have leveled off. Laptop sales are down. Apple needs to stake its future on maintaining an ongoing service relationship with customers." "I'm sure they have a five-year plan, but [this inclusive service concept] is going to happen sooner, in 2017," Sinnreich predicted.